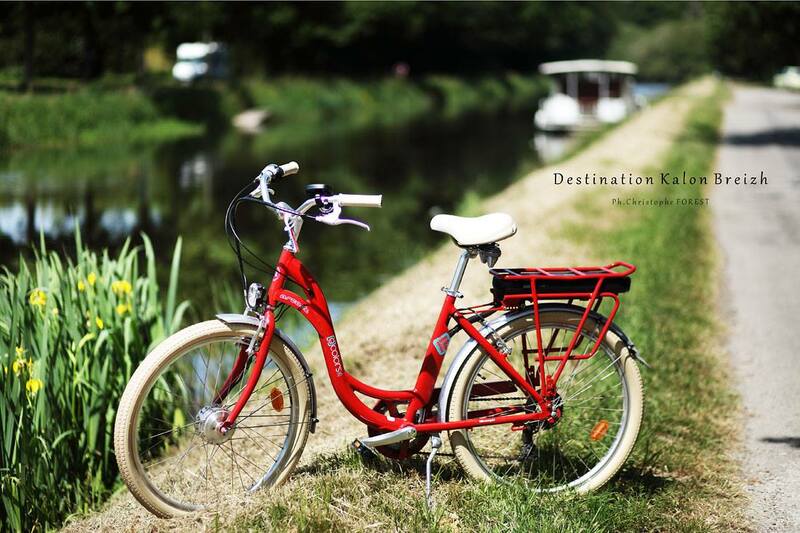 All bikes can be supplied with baskets and/or panniers that will enable you to carry your picnic or bring back goodies from the local market. You'd also get maps and routes in the area and lots of helpful advice over where to go. The bikes are traditional roadsters, modern hybrids or electric assisted. The Gouarec Hire Centre has a wide range of cycles for hire. Because of the general 'vintage' theme of the campsite many of these bikes are of the traditional roadster type which are absolutely perfect for the cyclepath being supremely comfortable and give a much more head-up - sit-up-and-beg position which enables you to see more than the front wheel;-) Cost is 15 Euro half-day, 20 Euro full-day. These French made cycles follow the 'traditional' design but can give motor assistance up to a range of 50-60 kms. Again very comfortable and easy to ride they make the various paths utterly 'effortless'. Cost is 20 Euro half-day, 30 Euro full day. - Tandems, Trailers and Children's Bikes. 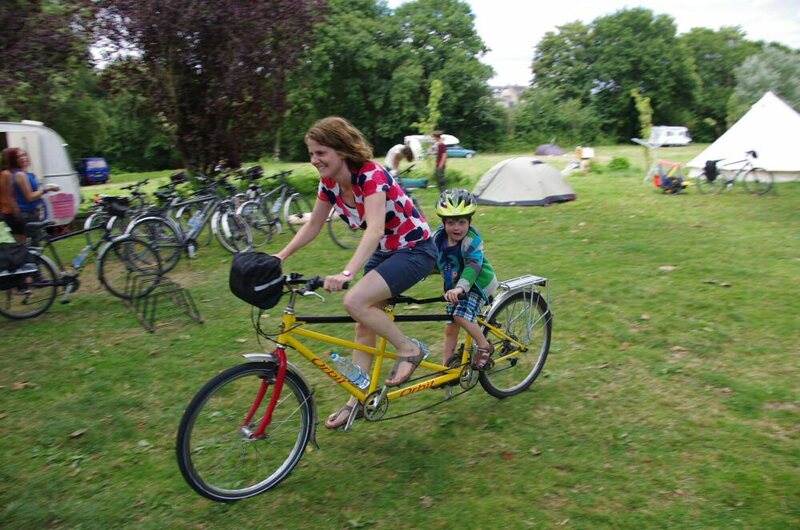 In our stock we have tandems, trailerbikes, child-trailers and very high-quality children's bikes. In all cases the cost for children under-18 is 10 Euro per half day, 15 Euro per day regardless of whether they use adult or children's equipment. New for 2018 we've just bought this beautiful traditional rowing boat. Canoes are great, but for many rather too unstable and hard work - not relaxing enough. For those people we've bought a large 14' rowing boat that is immensely stable, easy to row and capable of carrying at least 6 adults in rather more comfort than a canoe. 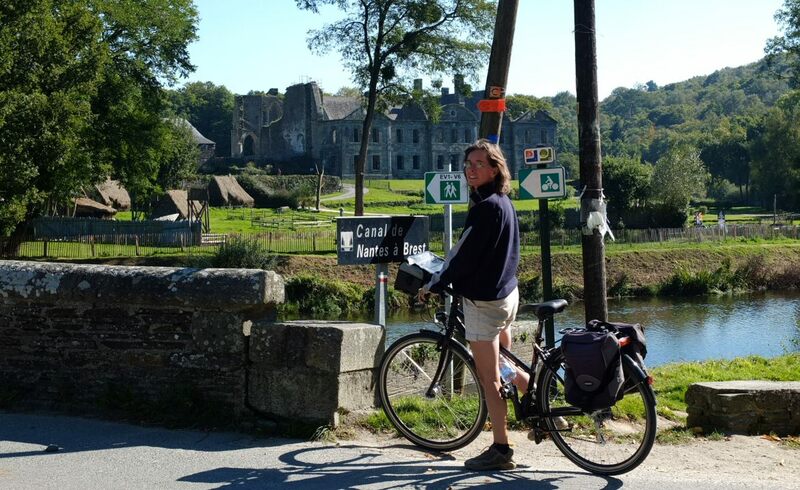 Also big enough to pas through locks, you can take a whole day and row down to Bon Repos for a picnic, or just explore the canal. Nothing to stop you fishing, or just rowing off and having a quiet snooze - you can even take your dog... 20€ hour, 30€ for half-day, 40€ full day. 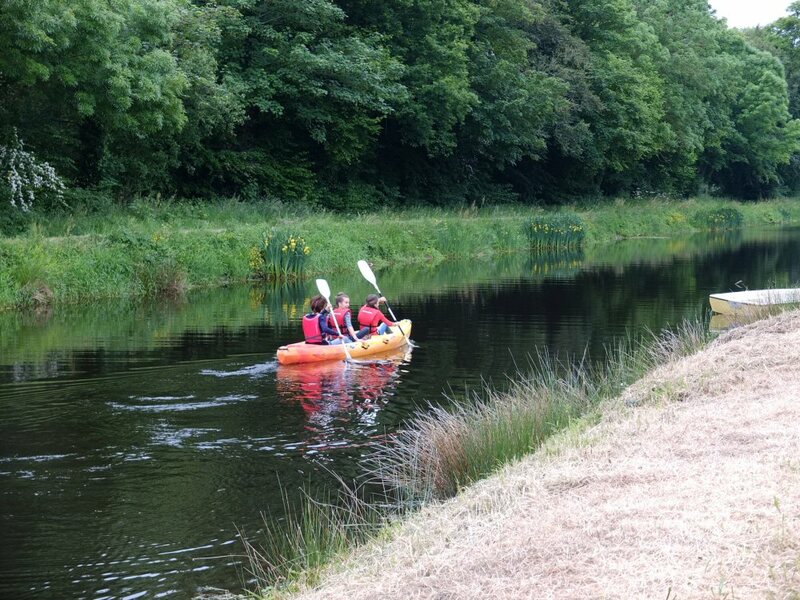 As we're on the canal and the river D'Oree you'll find lots of safe gentle canoeing. We have Canadian-style canoes that will take up to 4 people and one, two and three place Kayaks. Cost for solos 15 Euro half-day, 20 Euro full-day. For the 'multi-place' canoes and Kayaks the cost is 20 Euro half-day, 30 Euro full day. What can we say... The most iconic of all French cars, beautifully restored, a hoot to drive and open to the skys - all yours to explore the area for 95 Euro per day (please contact for longer hire). How could you possibly ask for more.